There were no positive tests record at this year's Rugby World Cup in England. All Black superstar Sonny Bill Williams thoroughly enjoyed their victory parade through the streets of New Zealand's capital city. The return of the All Blacks and Rugby World Cup trophy to Wellington on Friday brought New Zealand's capital to a standstill. 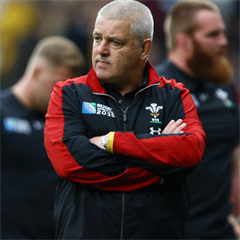 Wales coach Warren Gatland will quit his post after the 2019 RWC and return to New Zealand, media reports in his homeland have said. Britain's Prince Charles scrapped his New Zealand tour schedule to congratulate the All Blacks on their Rugby World Cup win. 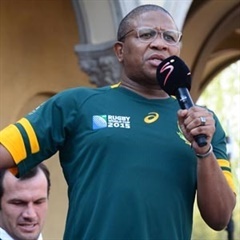 Fikile Mbalula says that the Springboks could never have been racially transformed in time for the RWC. 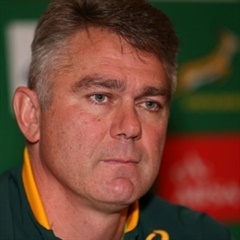 Sports minister Fikile Mbalula says he has not been informed of any contract extension for Springbok coach Heyneke Meyer. 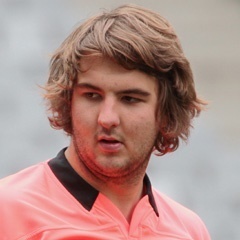 Two Springboks have made the Rugby World Cup’s Dream Team announced after the conclusion of the tournament. The world champion All Blacks on Wednesday took the Webb Ellis Cup to the grave of the late Jerry Collins. 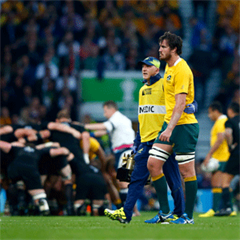 Australia lock Kane Douglas faces a long stint on the sidelines after scans confirmed he suffered a serious knee injury during the RWC final. 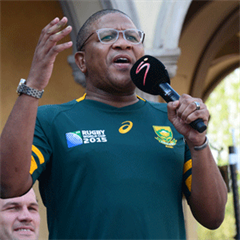 Sports minister Fikile Mbabula is expected to brief the media on the Springboks' performance, as well as on transformation. New footage of All Blacks superstar Sonny Bill Williams giving a 14-year-old fan his Rugby World Cup winners' medal has emerged. 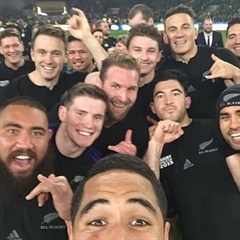 In a social media post similar to Ellen DeGeneres' 2014 record-breaking Oscar selfie, the All Blacks have posed for a squad picture. It will need desire and a proper tactical overhaul too, but Rob Houwing suggests three obvious steps to better Bok attacking play. Post-tournament statistics add fire to the argument that the Springboks were not potent enough on attack during the RWC. 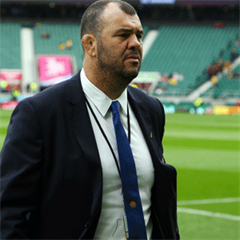 The Wallabies must improve rather than hope the All Blacks drop their lofty standards, coach Michael Cheika has said. 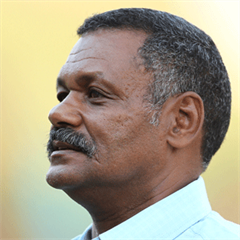 Former Springbok coach Peter de Villiers has hit out at incumbent Heyneke Meyer after the Boks failed to win the Rugby World Cup. The All Blacks returned home to a frenzy of hakas and hysteria, with even the players stunned as 50 000 fans packed central Auckland. Australia fullback Israel Folau rates the RWC as the highlight of his career and has reiterated that he will be staying in the 15-man code. The All Blacks returned home to a frenzy of support as the team triumphantly displayed the Rugby World Cup to screaming fans. 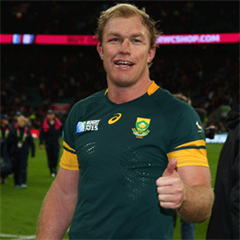 Veteran forward Schalk Burger has hailed the "gutsy" Springboks after they returned to South Africa from in England. 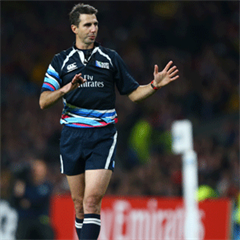 At least in the public eye, the tide may be turning back in favour of sidelined SA referee Craig Joubert, writes Rob Houwing. 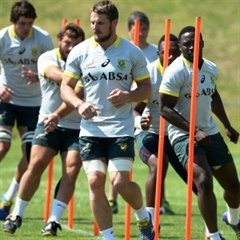 Home-based Boks are about to have a decent off-season, but there is no such luck for ones with Japanese duties, writes Rob Houwing. 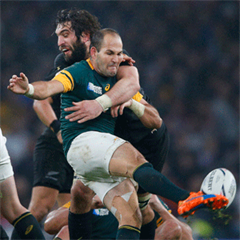 Scrumhalf Fourie du Preez says he enjoyed the experience of captaining the Springboks at the past Rugby World Cup in England. 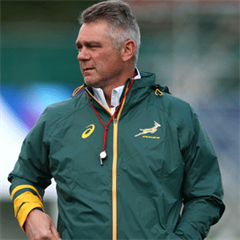 National coach Heyneke Meyer believes there are several players in the squad who can be considered as future Springbok captains. 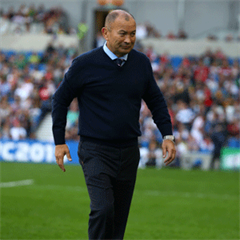 Outgoing coach Eddie Jones has warned Japan to pick the right man to succeed him and avoid making the same mistake as the RFU. Heyneke Meyer says he knows what it takes to be the best rugby team in the world and would like to continue as Bok coach. 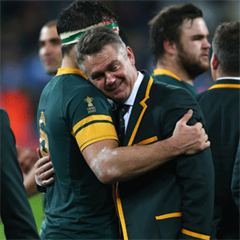 Heyneke Meyer believes SA players are not skilful enough to play a dynamic brand of rugby. Former Springbok flyhalf Butch James has picked All Black wing Julian Savea as his RWC player of the tournament. 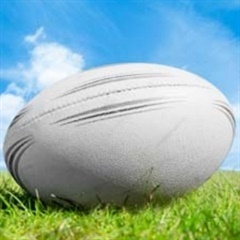 The Springboks finished thrid at the 2015 Rugby World Cup - and also finished the tournament ranked third-best in the world. 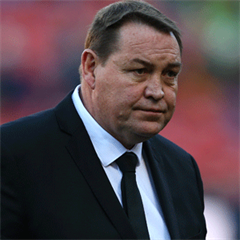 A decision on the next Springbok coach will be made in December, SARU have announced. 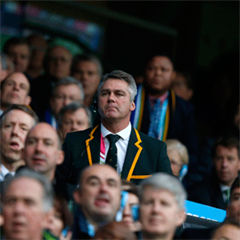 New coach Guy Noves has vowed to bring back the excitement following a dismal French showing at the RWC.